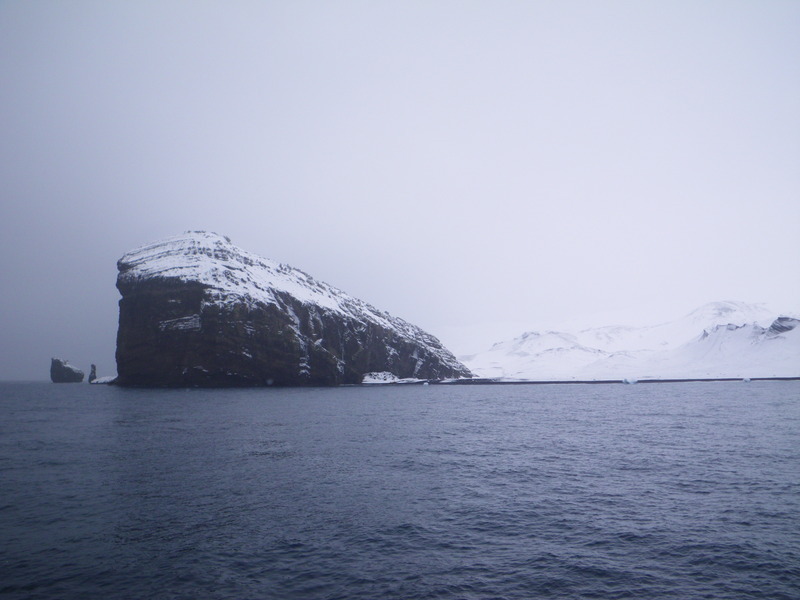 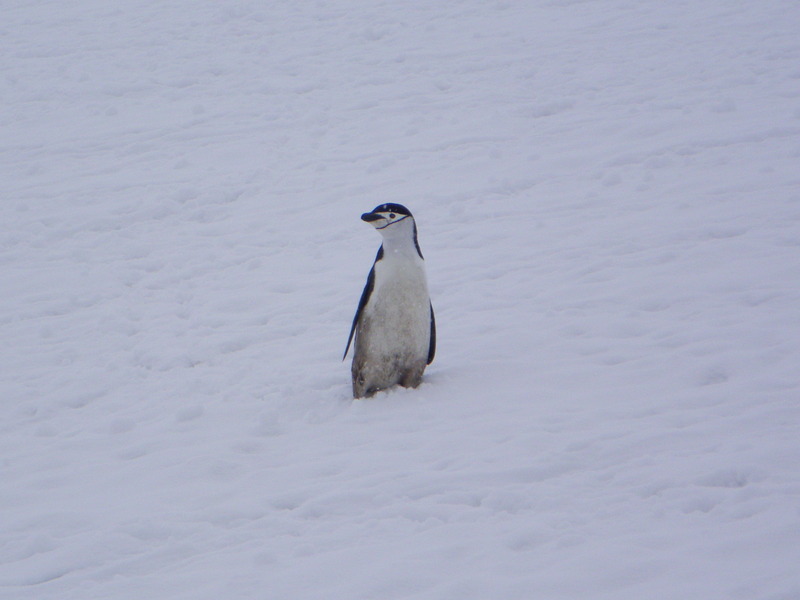 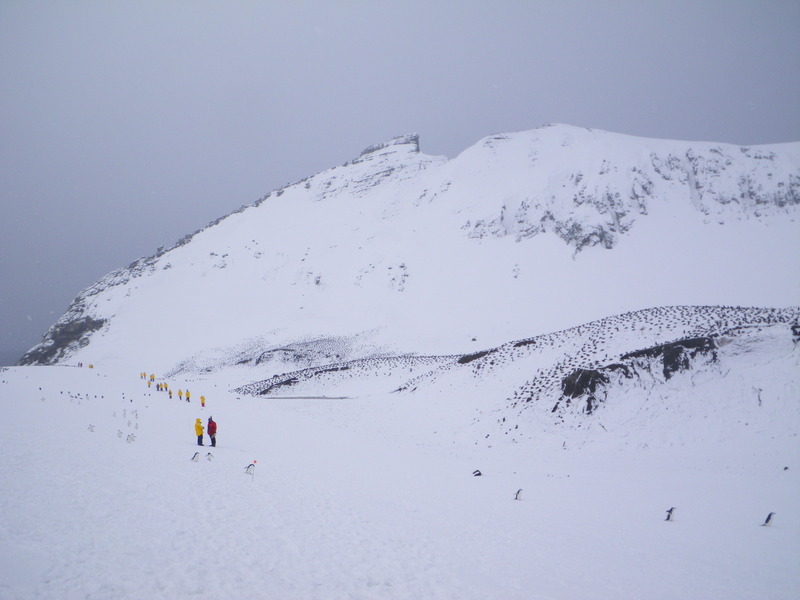 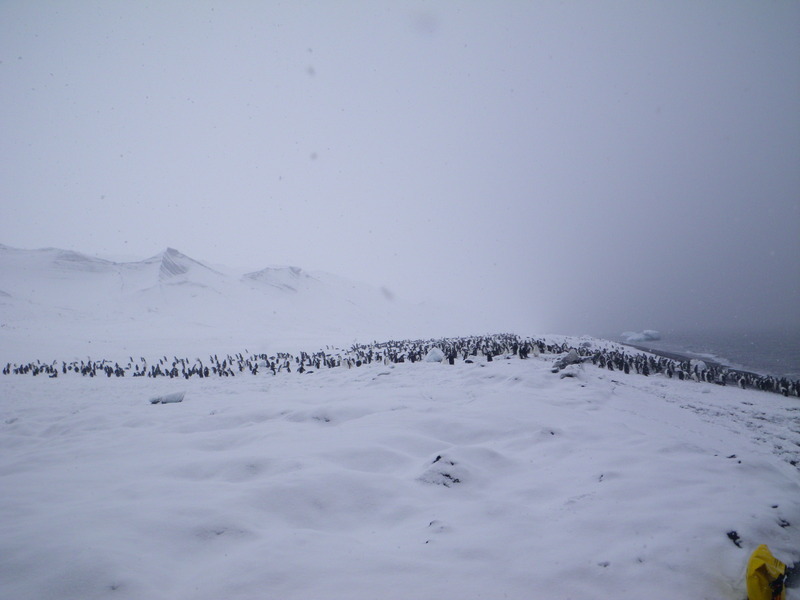 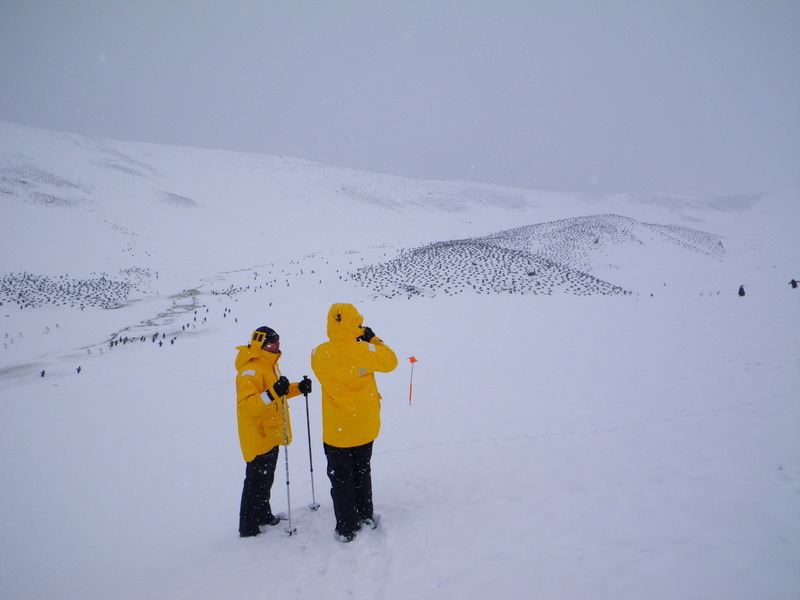 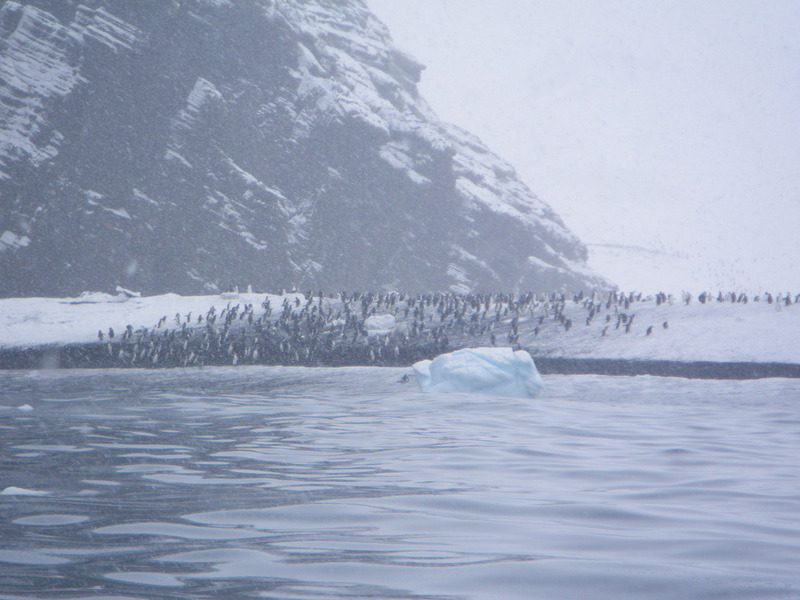 Because the landings at Whaler's bay were canceled, we went to Baily head, on the outside of the caldera, where there is a colony of chinstrap penguins. 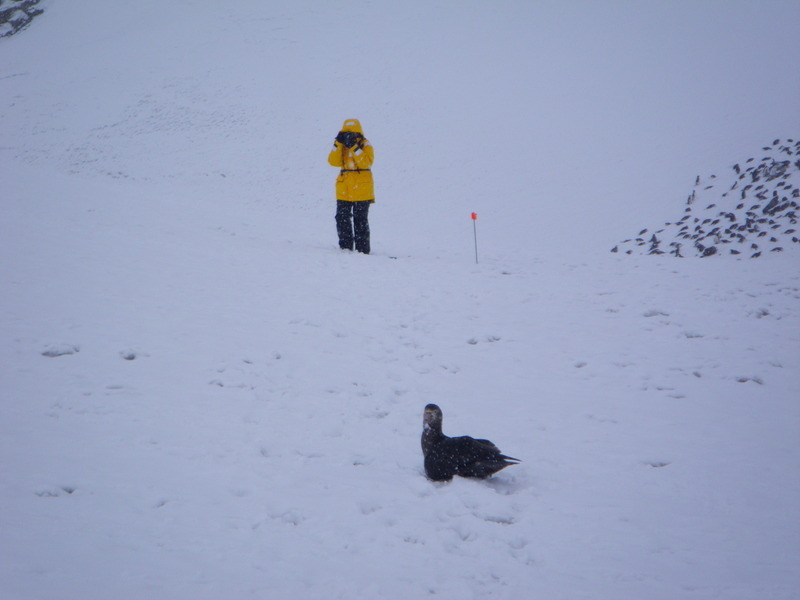 Often the waves are too high to land on the beach at Baily head, but we were lucky and were able to land without incident. 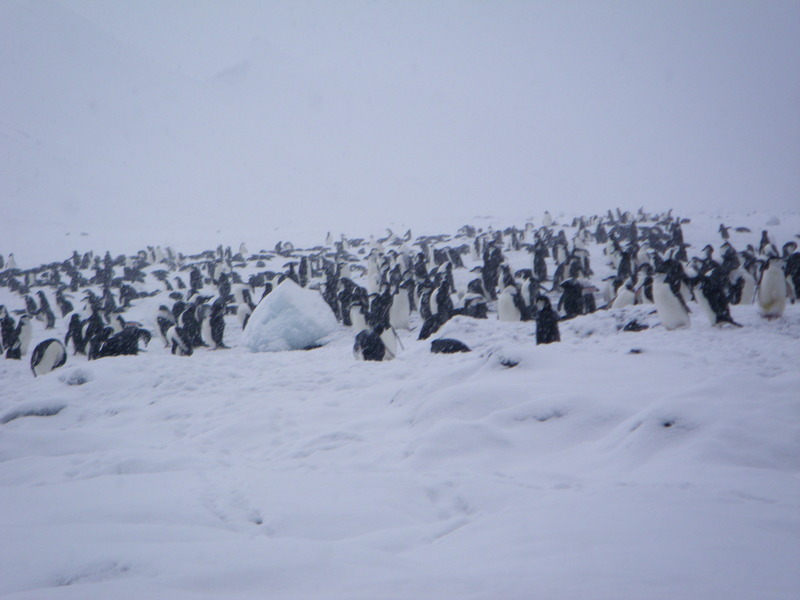 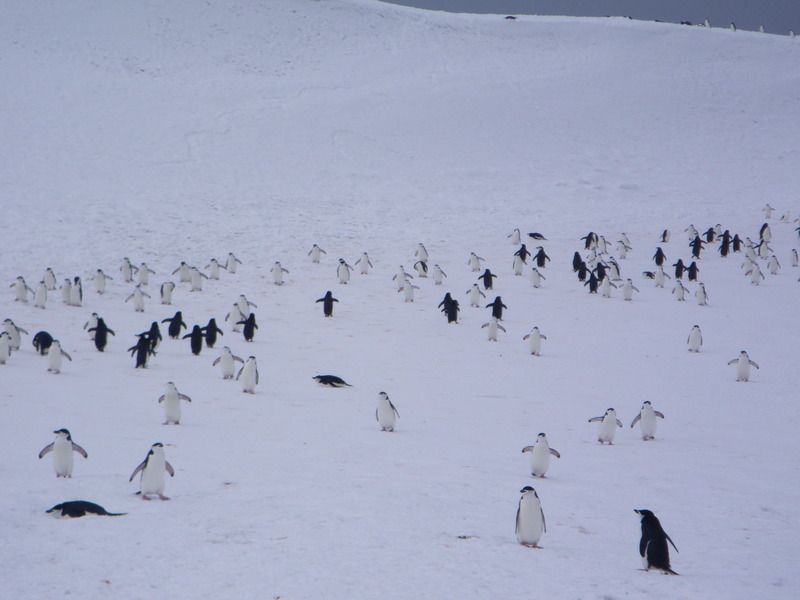 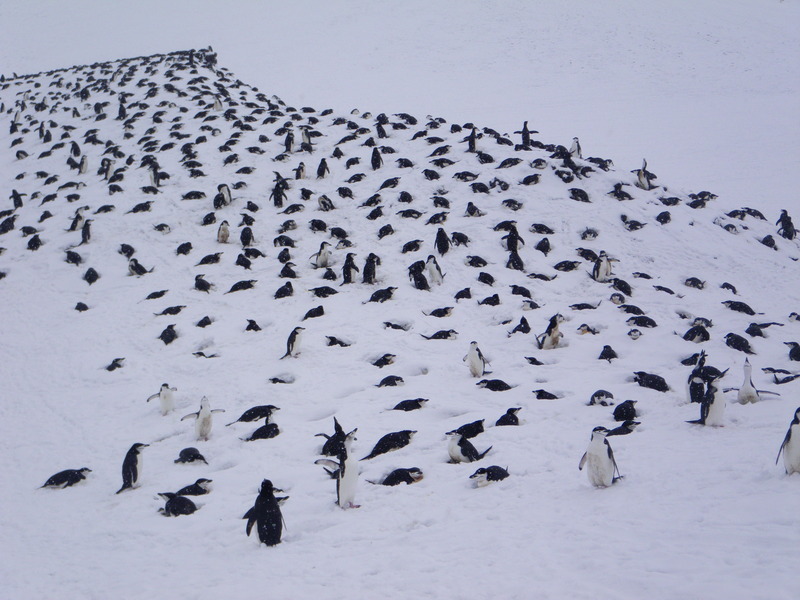 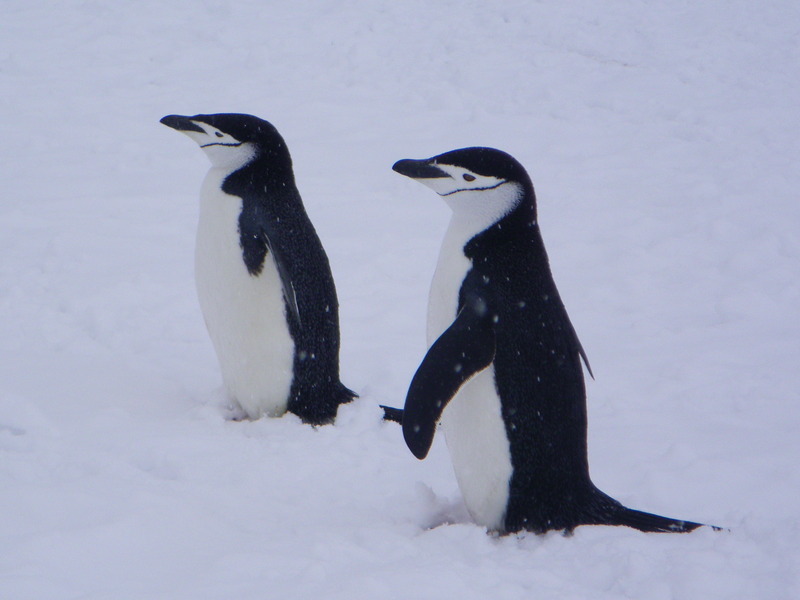 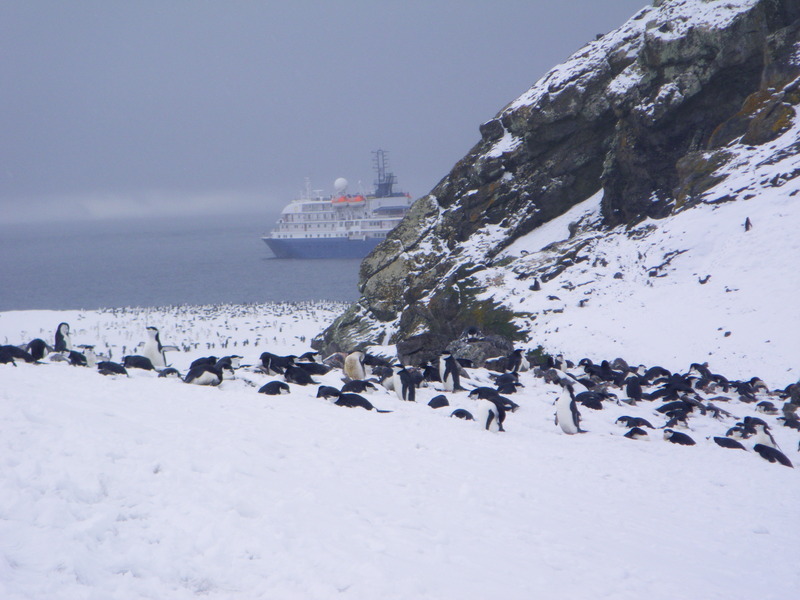 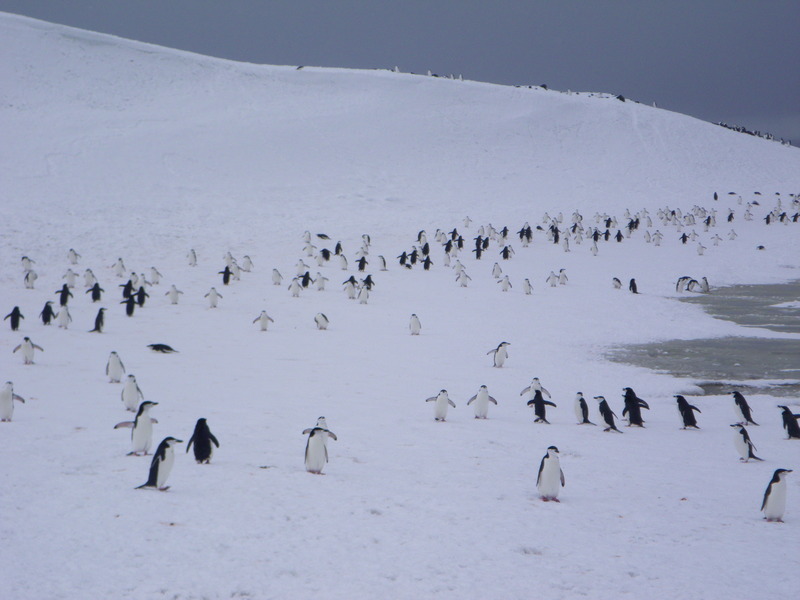 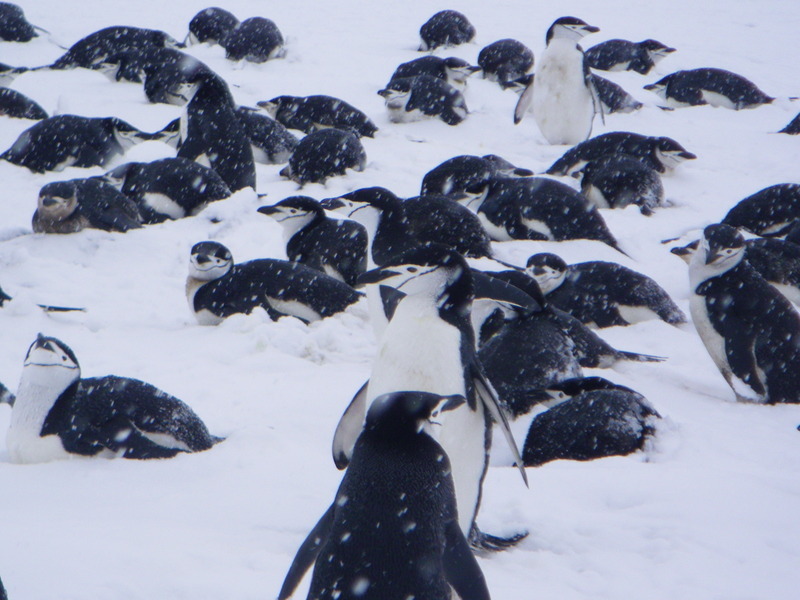 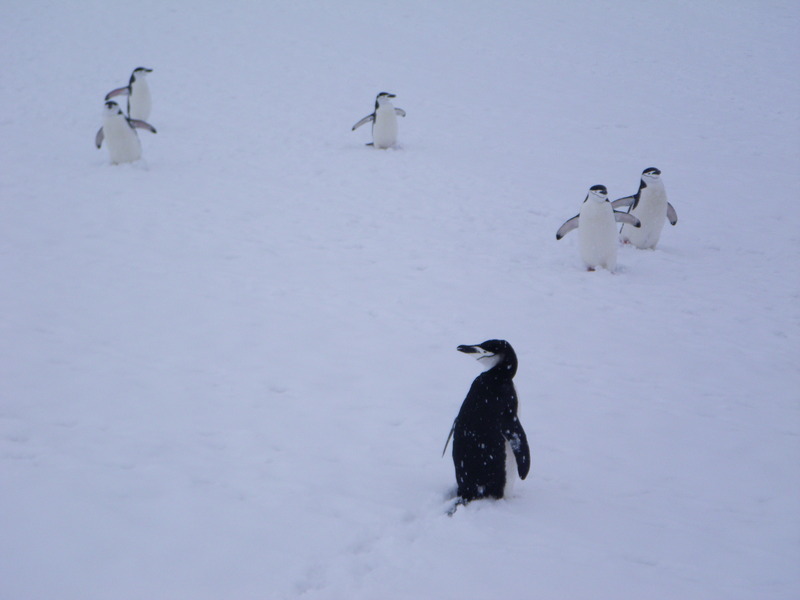 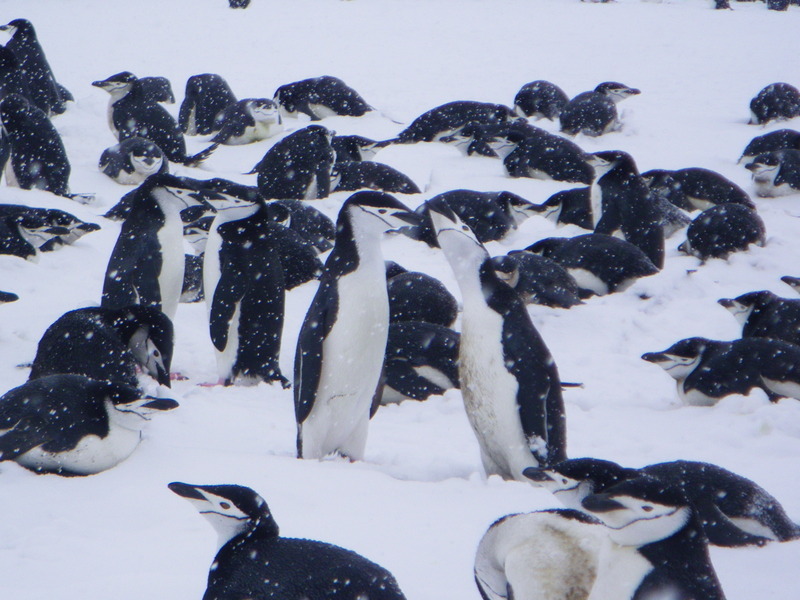 The chinstrap colony at Baily head is estimated to have 100,000 penguins. 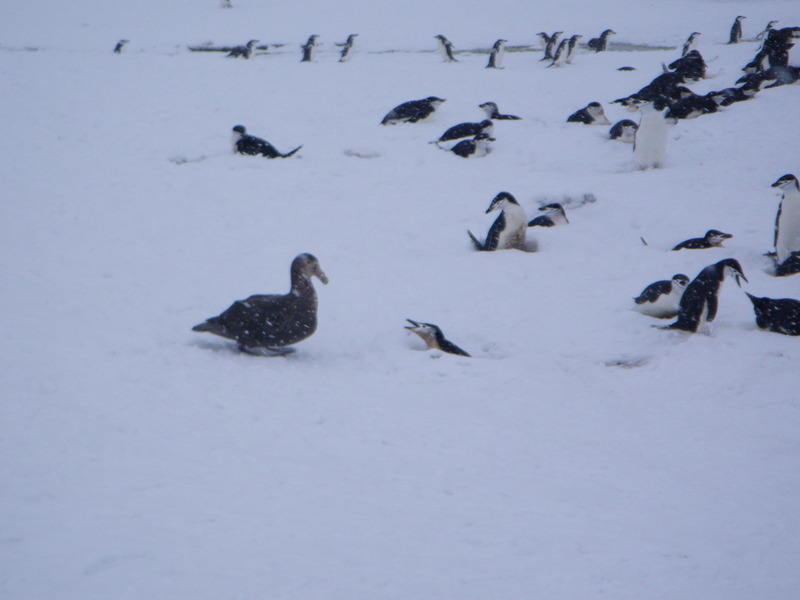 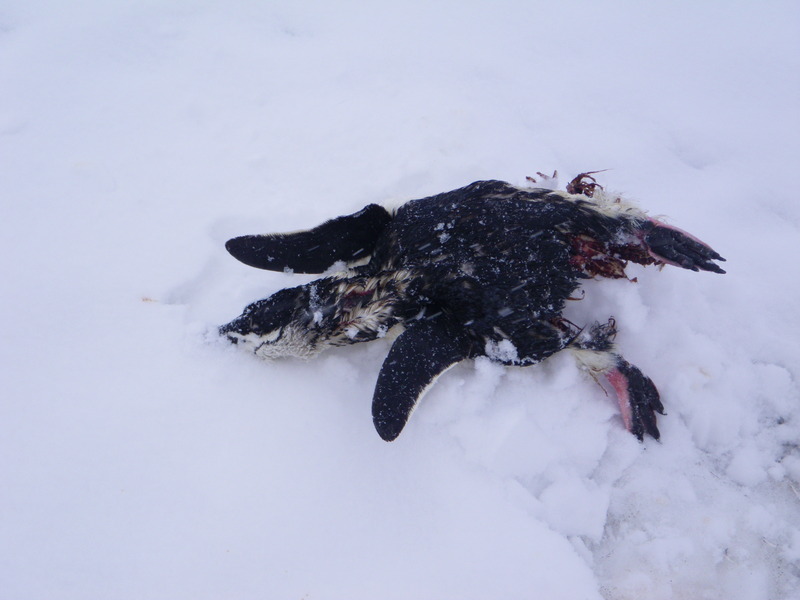 Because there were so many penguins, there were plenty of Skuas and Great Southern Petrels looking for either dead penguins, eggs, or (later) chicks. 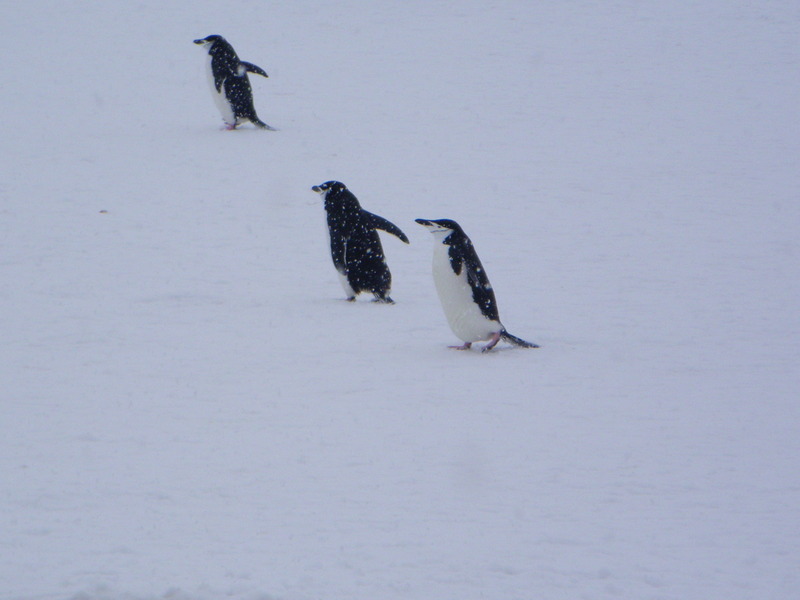 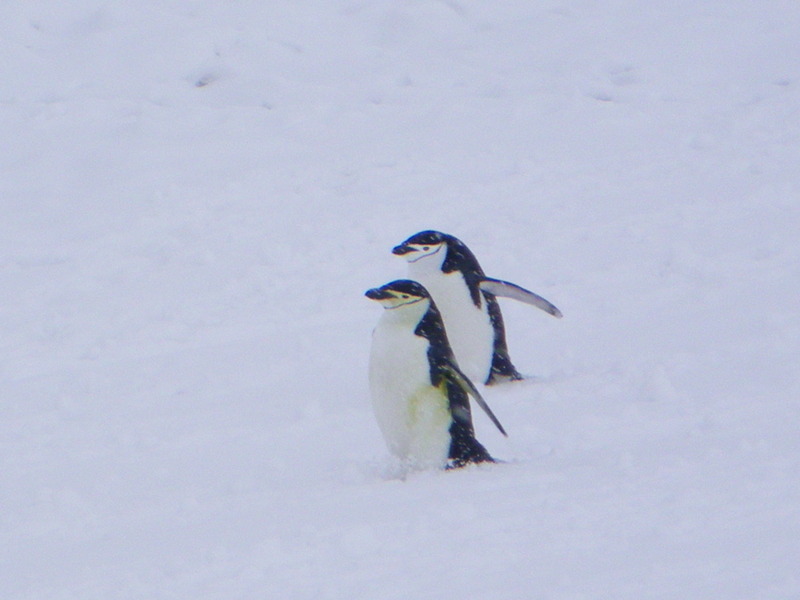 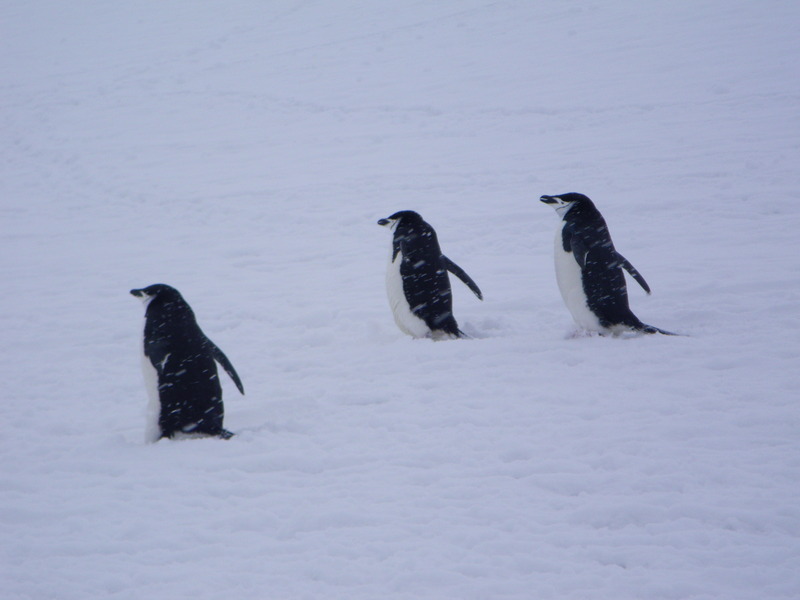 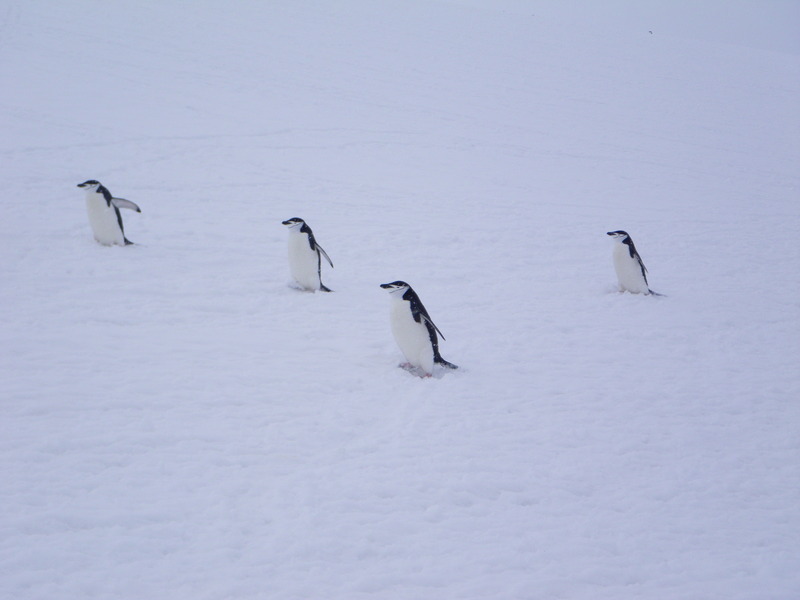 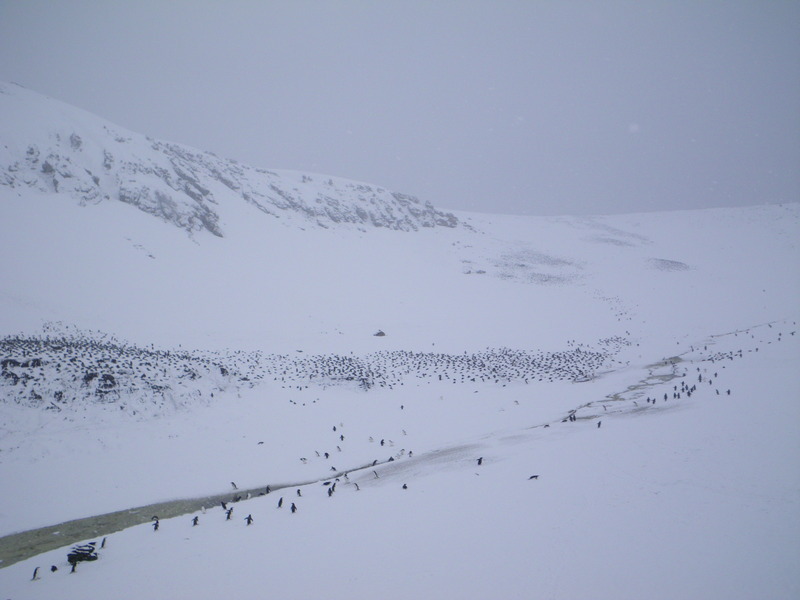 The penguins in this colony often travel along well-defined paths, which we thought of as "penguin highways". 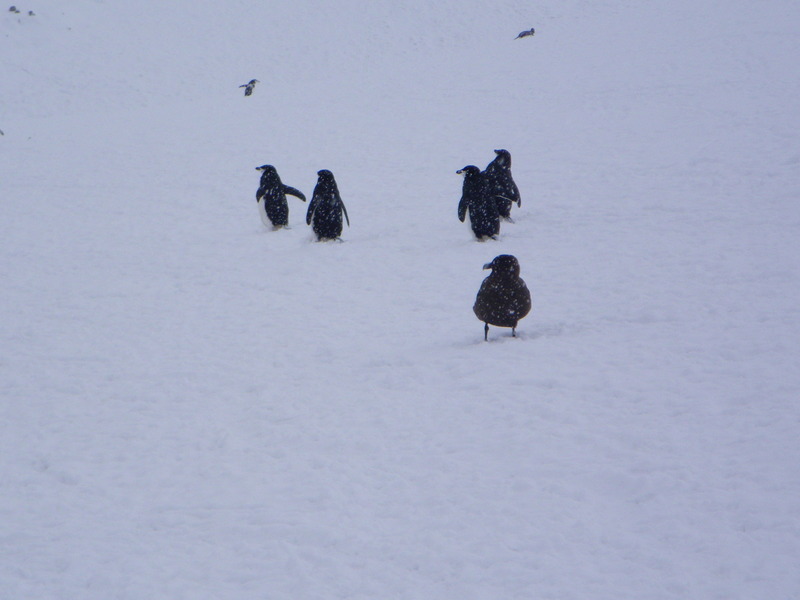 As one person said, "white penguins coming towards us, black penguins moving away". 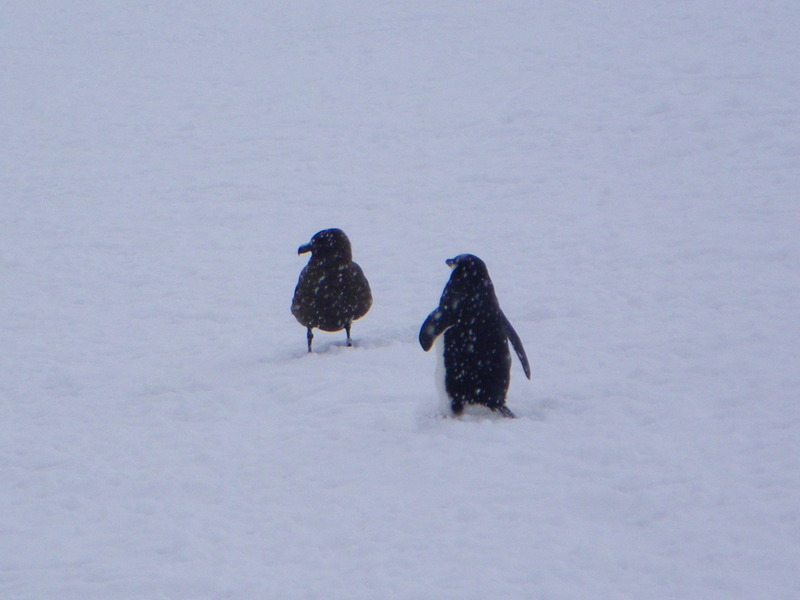 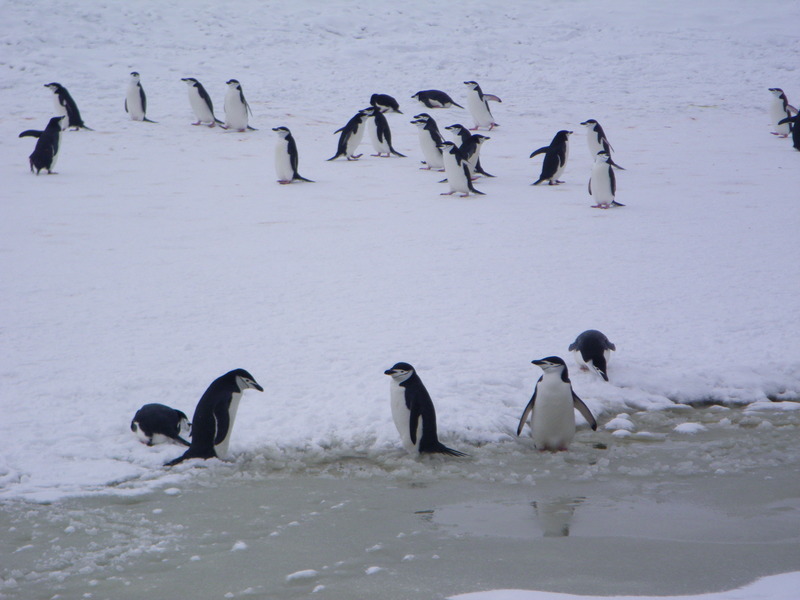 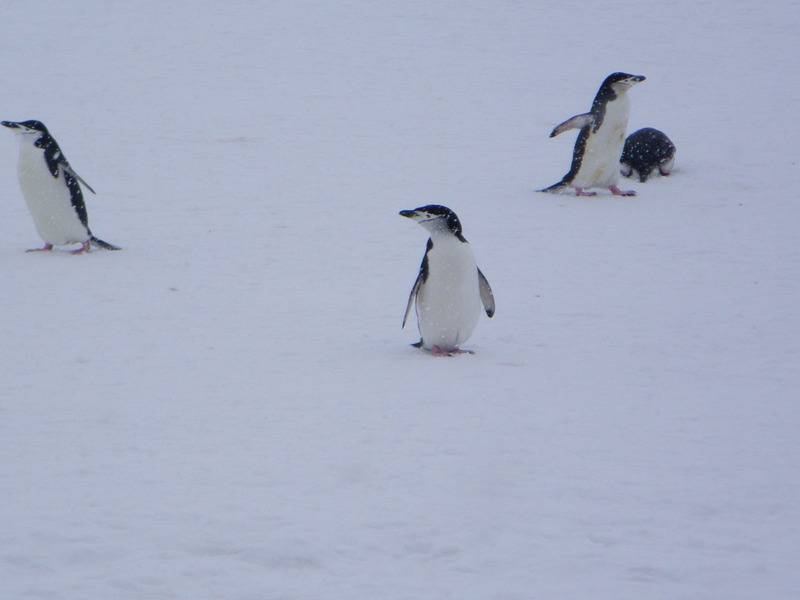 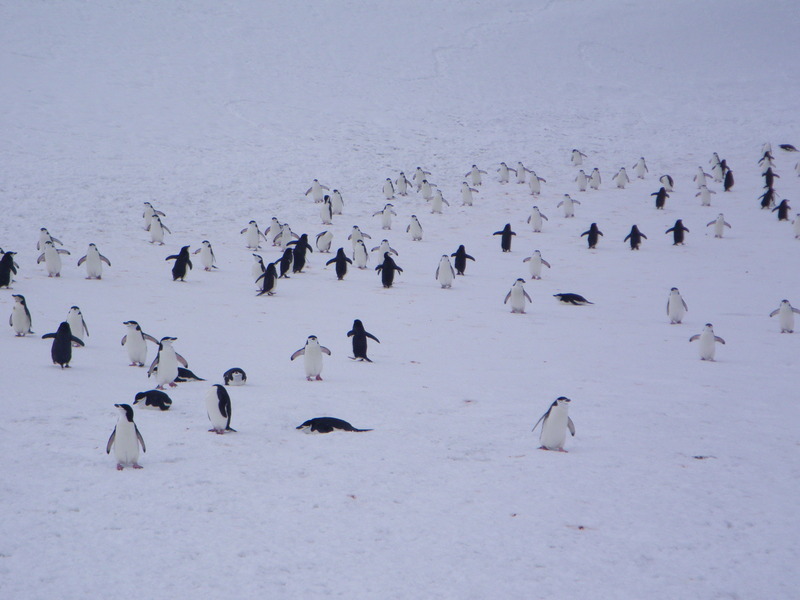 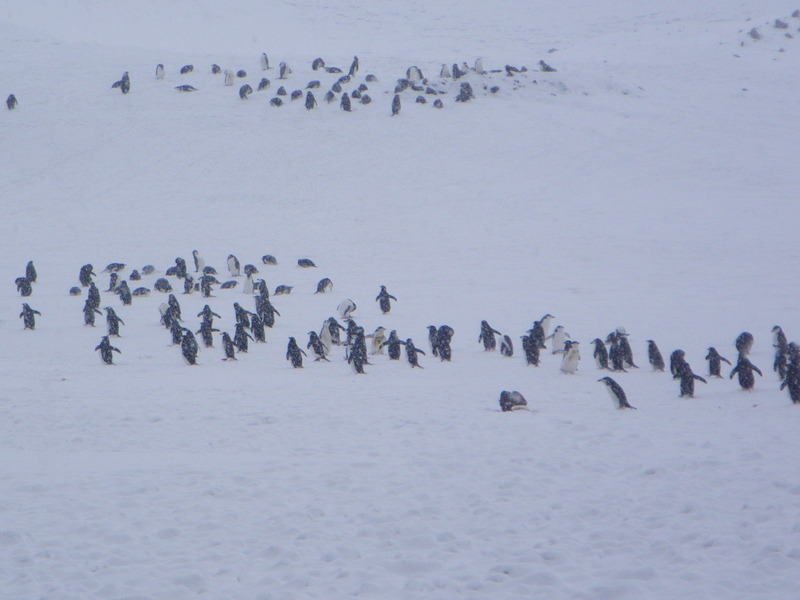 Most of the penguins in the colony were sitting on the ground, though some were active and standing. 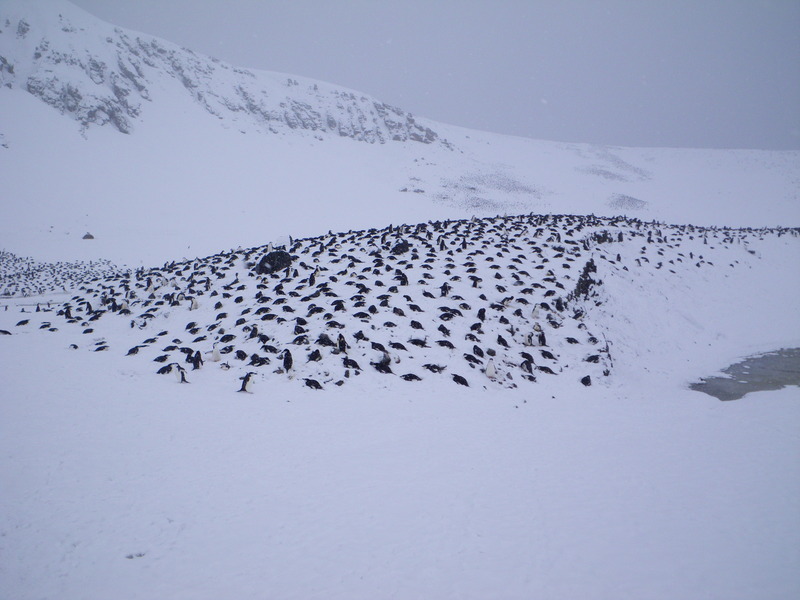 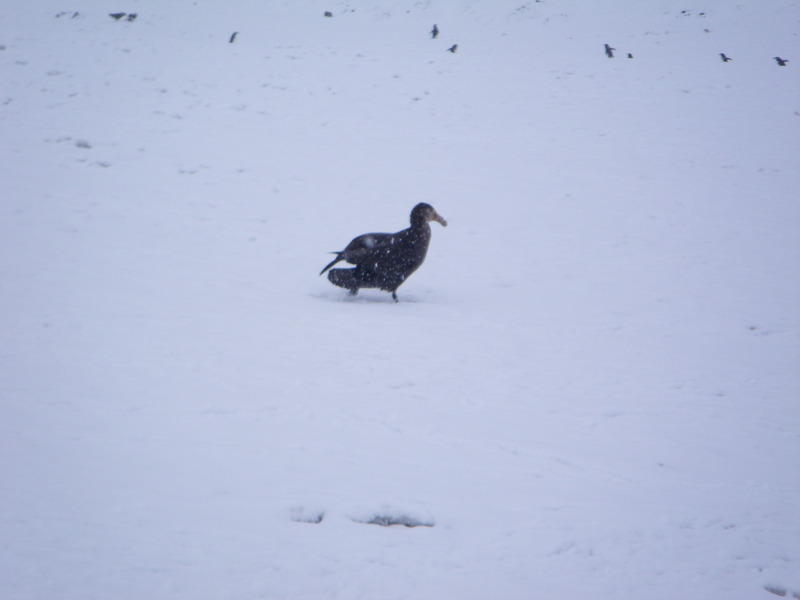 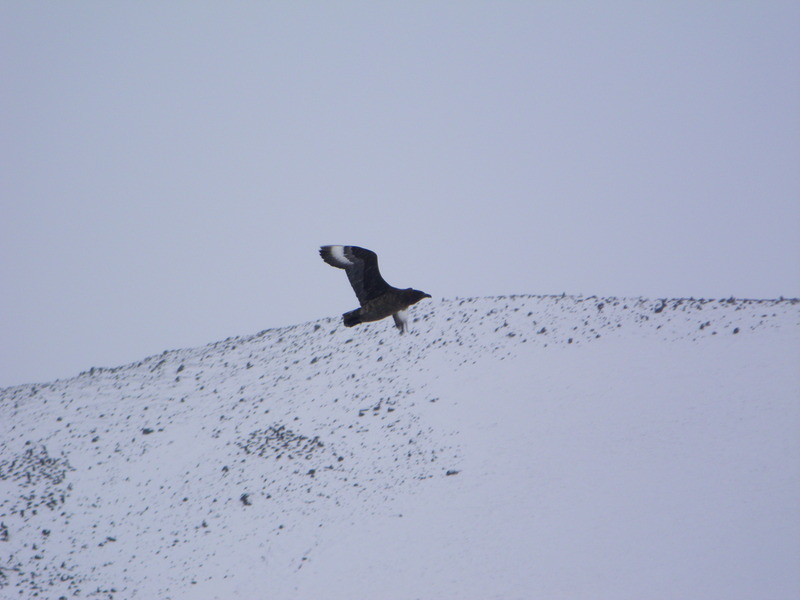 The nests were on the ground beneath the snow that was still falling. 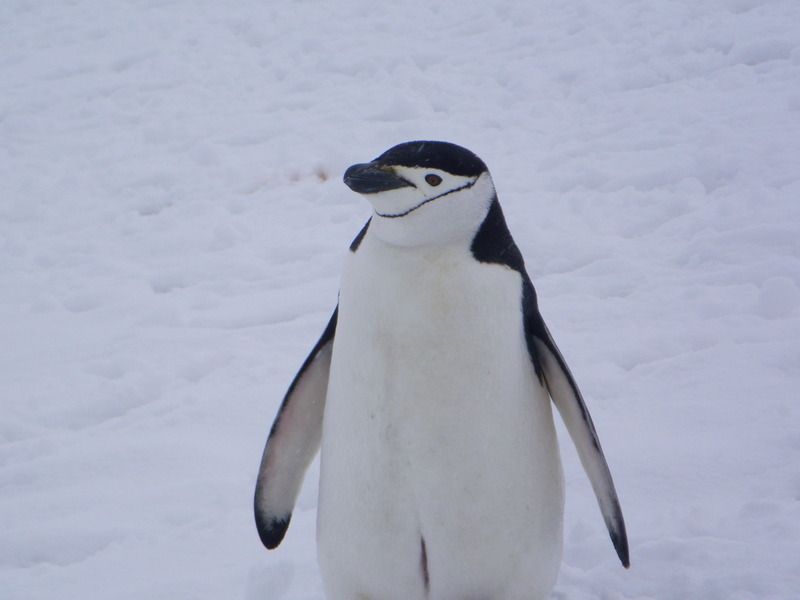 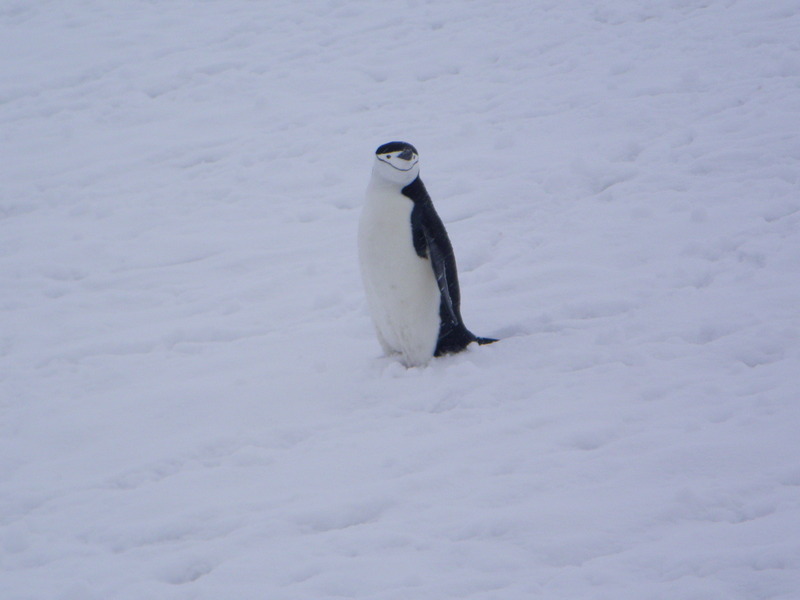 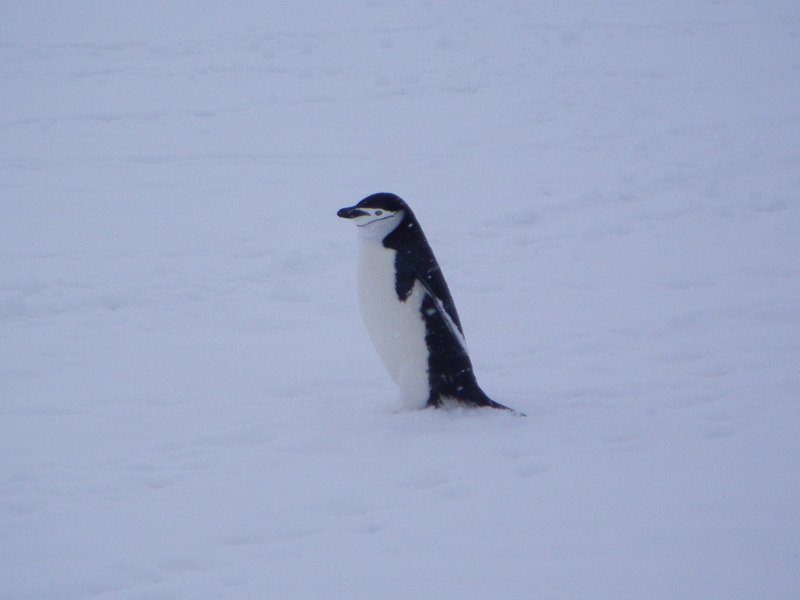 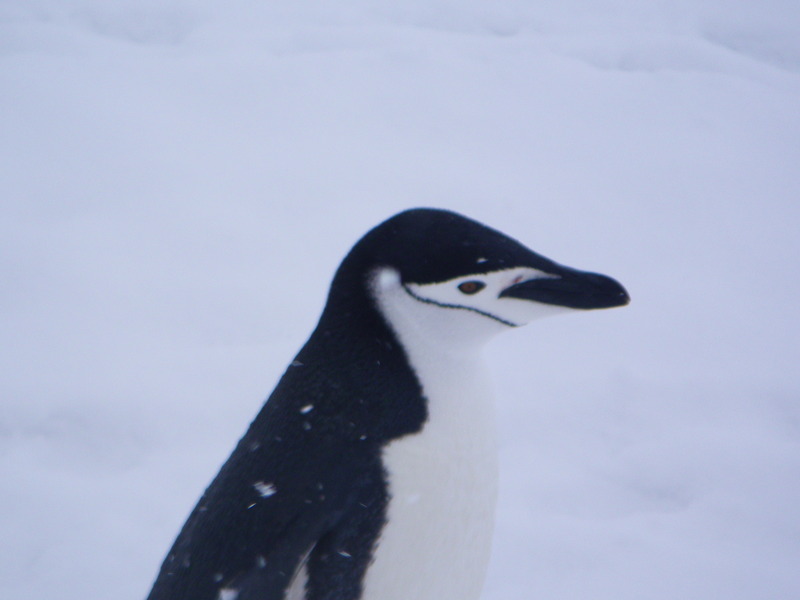 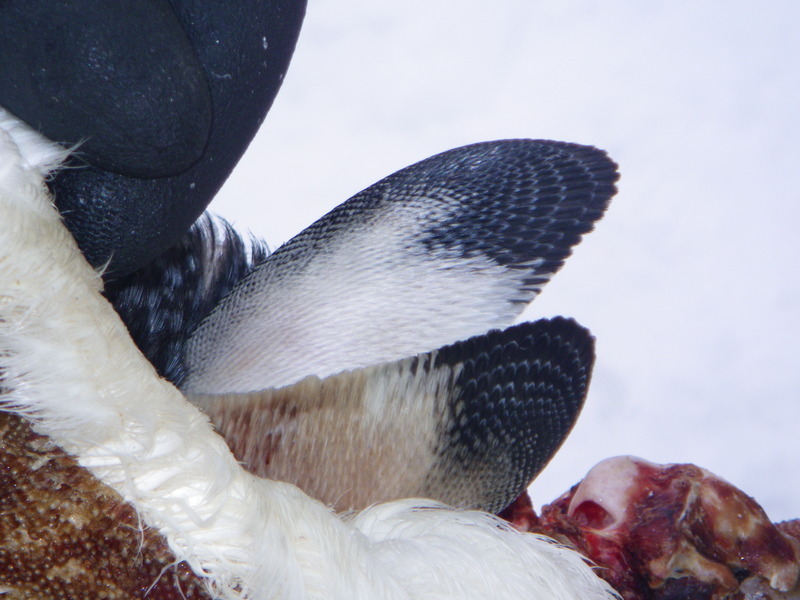 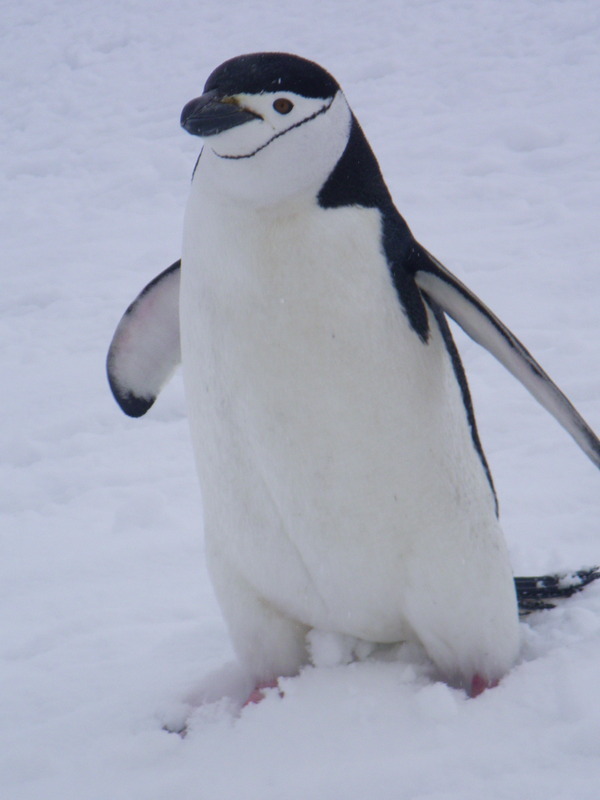 The English name for the chinstrap penguin comes from the well-defined black line that crosses below the penguin's beak. 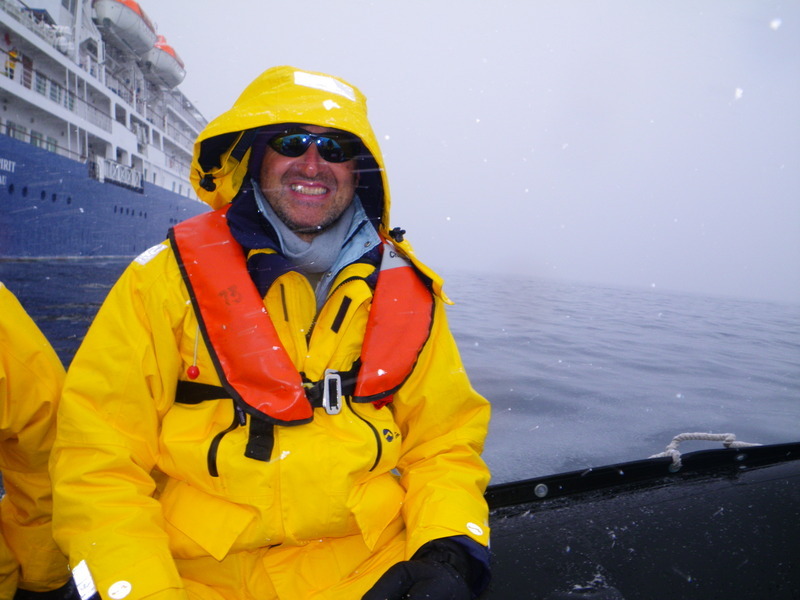 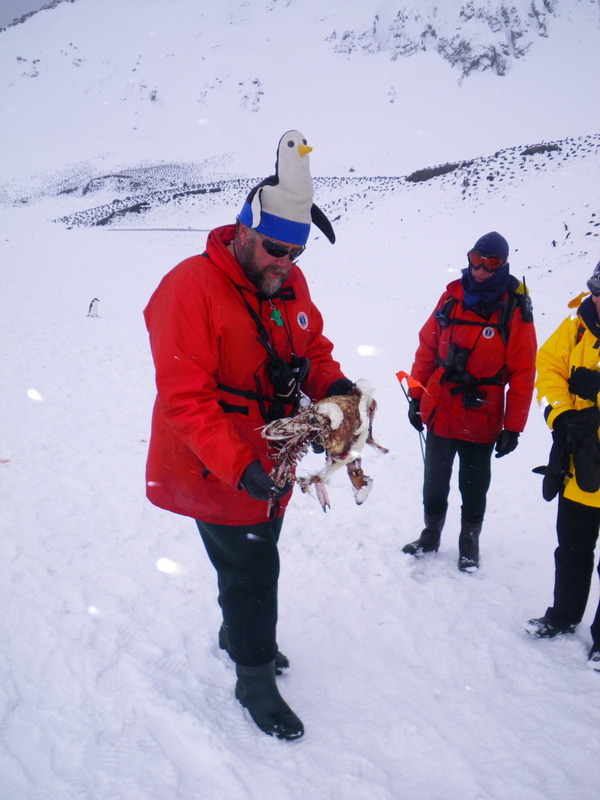 For the occasion, our expedition leader wore a penguin hat. 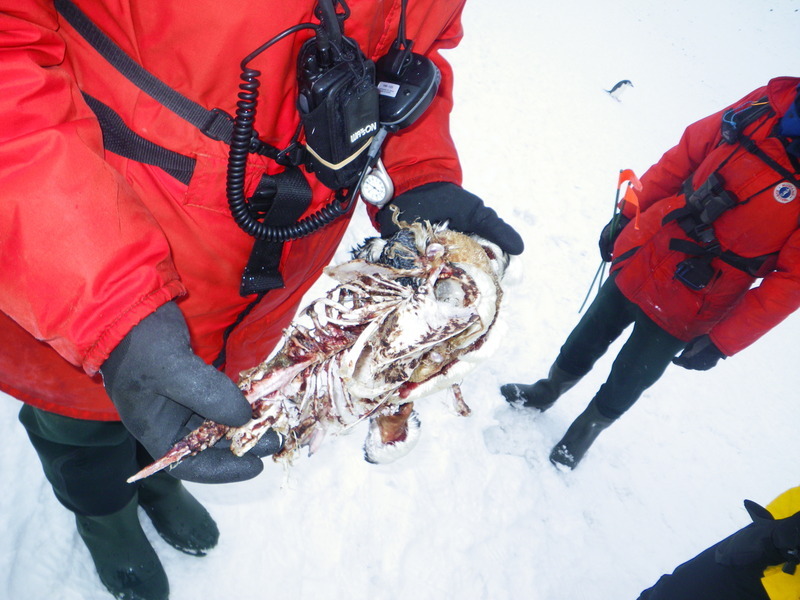 Here he is showing us a dead penguin whose skin was turned inside out. 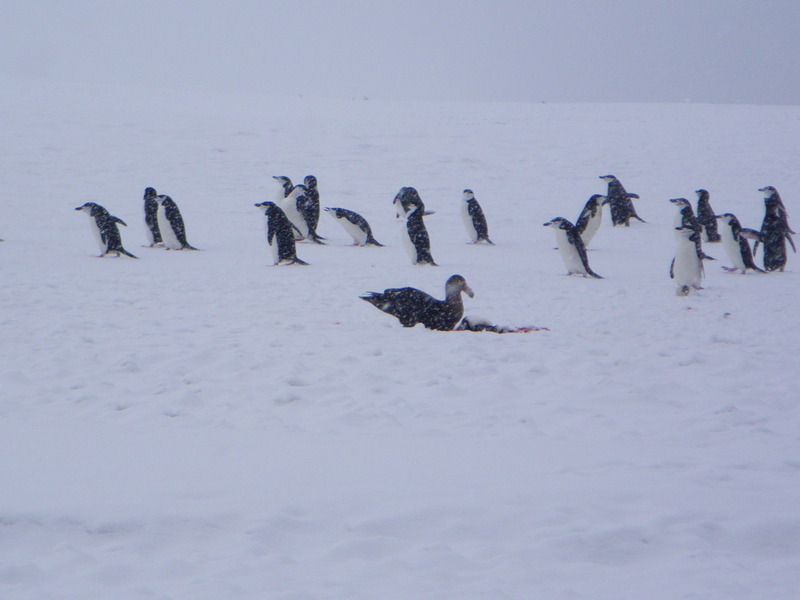 This is a typical attack pattern of a leopard seal, so this penguin was likely attacked in the water, then dragged this far inland by a scavenger bird. 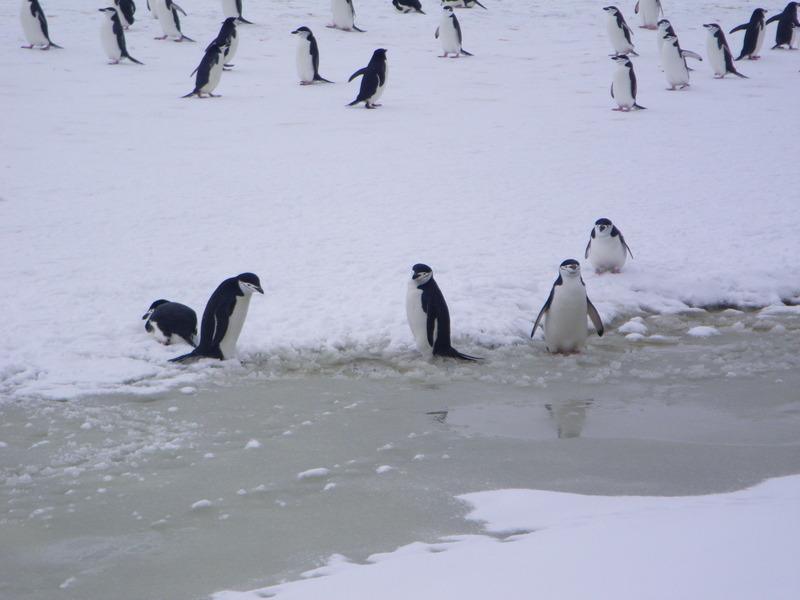 We even saw penguins that looked like they might be taking a freshwater bath. 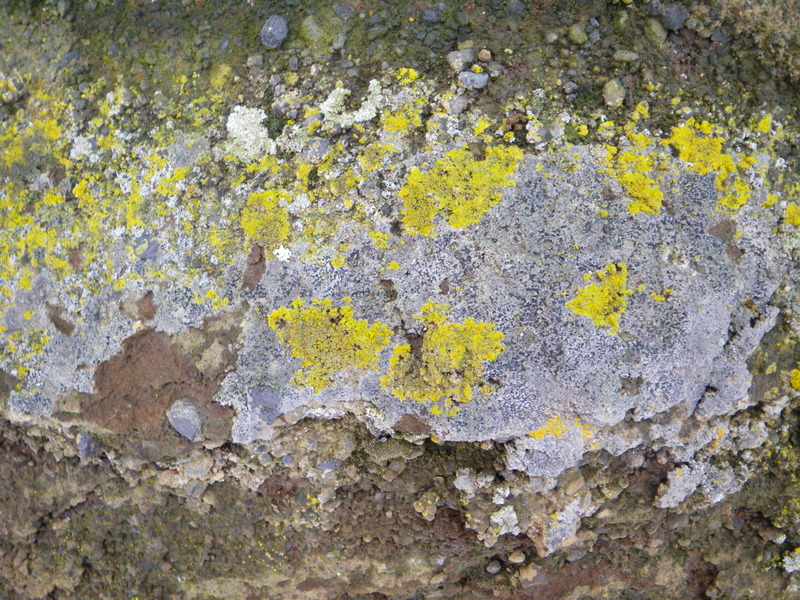 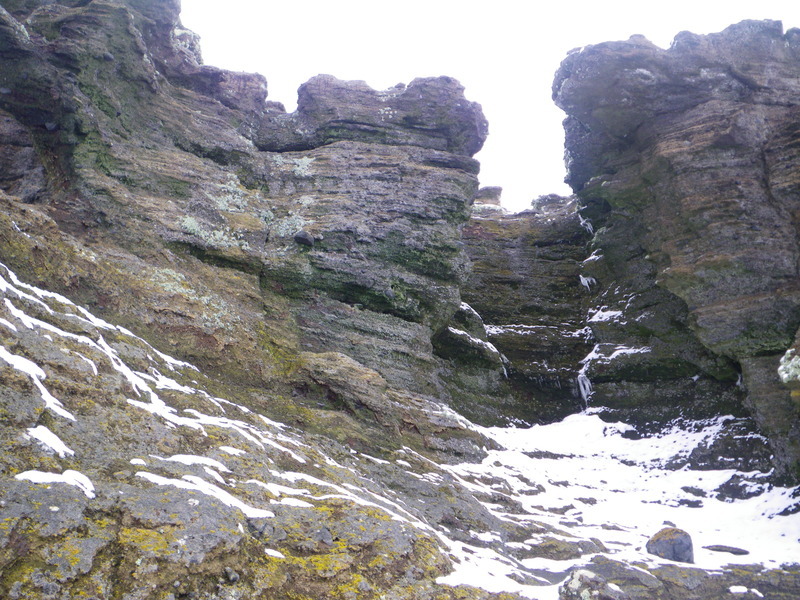 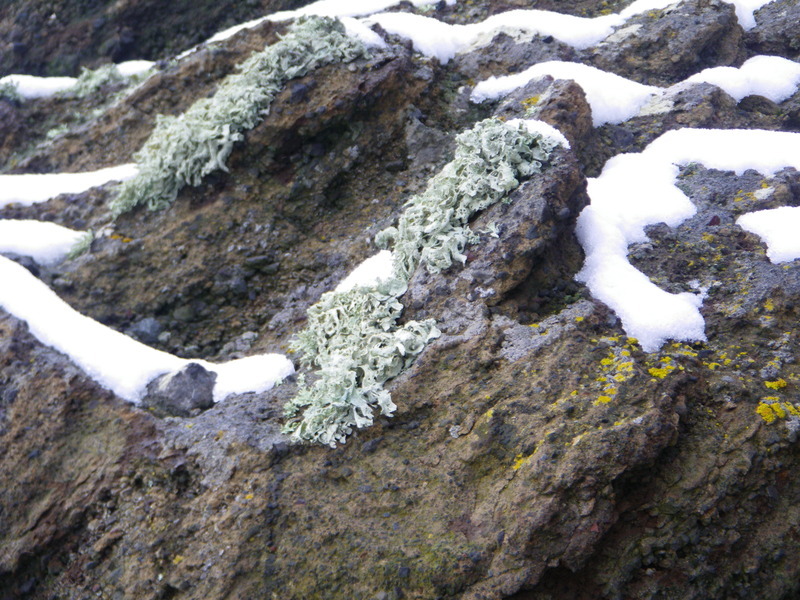 And on a rock, there were many lichens. 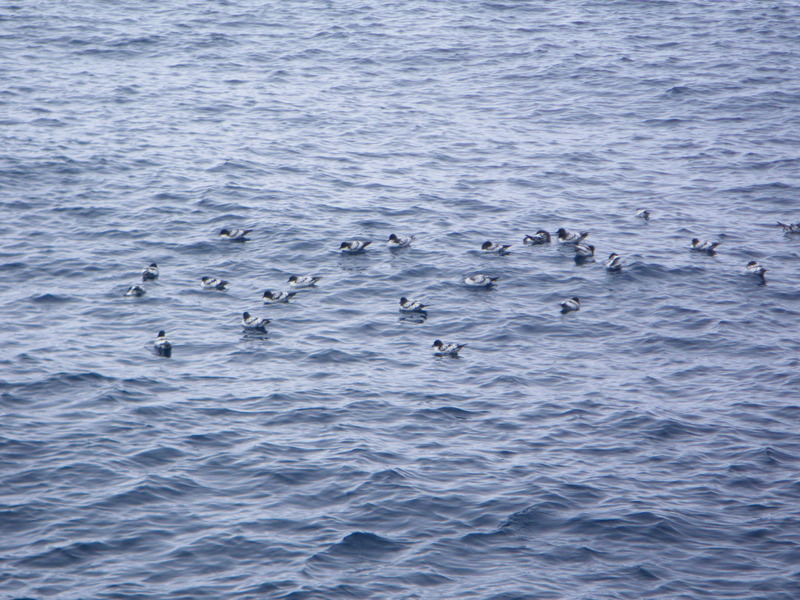 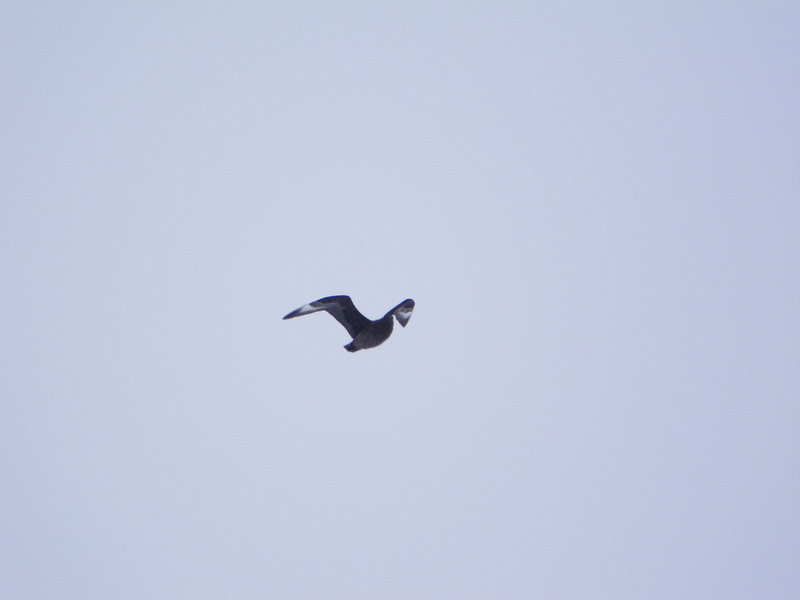 After we got back to the ship, there were many petrels in the water.